In October 2017, Mike Weeks traveled to Kimberly for the first SCOUTS South Africa Lekgotla. Whilst at the Lekgotla, he met Lunga and Tandi Nqini, two Scouters from the Amatola Community Church Scout Group in Bisho in the Eastern Cape. “On the drive home from Kimberly I could not stop thinking of these two amazingly dedicated Scouters,” explains Mike. “I felt an urge to try and help them in some way”. 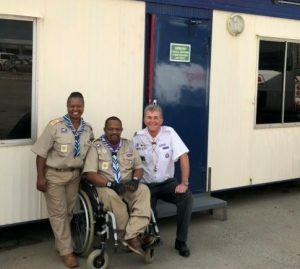 On return to his own East Rand District in Gauteng, he proposed that they start raising funds to purchase a shipping container which could be placed at the Church to store the Scouting equipment. They decided to give it a try and slowly began getting money for their cause. 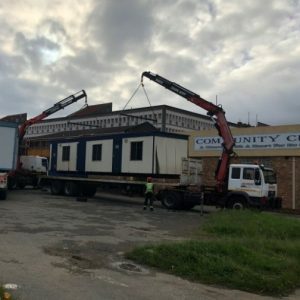 Not long after, through the dedication of one of the District Scouters, Joy Hutchinson, they learned that they had secured the donation of not one, but two Park Home units. The one unit was divided into 3 offices and the other was open and ideal for storage. “Christian of Aspen graciously left all the furniture and 3 air-conditioning units in the Park Home units. Numerous large melamine and two stainless steel desks with drawers, drawer units, book shelves, cupboards, a meeting table and swivel chairs filled the office unit. They only have to be cleaned and tidied up a bit and they are ready for action!” explains Mike. Lunga and Tandi have already replaced some of the door locks, fixed doors and re-fastened one or two panels that came loose during the transport from Port Elizabeth to Bisho. The units are fully wired with light fittings inside and outside and Lunga plans on connecting electricity to the units soon. 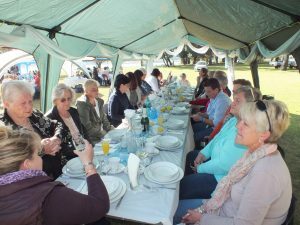 On Saturday the 12th of May 2018, the East Rand District hosted a Mother’s Day Breakfast for 270 ladies in Arrowe Park. 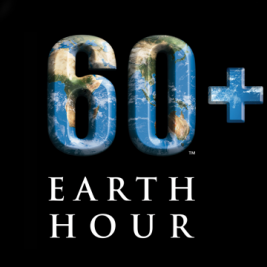 The event was a fundraising event to cover the delivery costs. The support for their function exceeded their expectations and this enabled them to reach their fundraising goal. 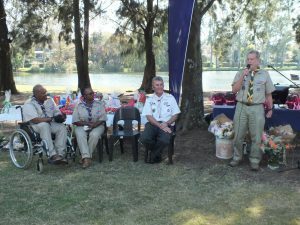 Andrew Tanner, Chief Commissioner of SCOUTS South Africa, presented the Chief Scout’s Commendation to the East Rand District at the Breakfast function in recognition of the District’s outstanding initiative and service to the Community Church Scout Group. Mike is convinced that through this donation it will be easier for Lunga and Tandi to make a huge difference in the lives of the boys, girls and young adults they work with in the Amatola Community Scout Group in Bisho. “I will finally get my home back”, quipped Tandi. 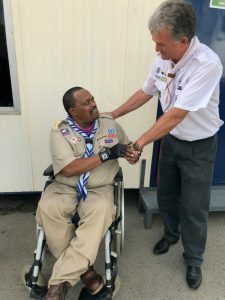 “My thanks go to Christiaan Theron of Aspen Pharmacare for his very generous donation and to everyone in the East Rand Scouting family, who have contributed towards making this dream a reality. I wish to extend my personal thanks to everyone who attended the breakfast event. My thanks go to the dedicated Scouters and parents of the East Rand District for their support in organising and making our function such a success” concludes Mike. I can see my life on the next level, no matter where I’m from!